Kate Beckinsale and Pete Davidson caught smooching at The Dirt premiere. 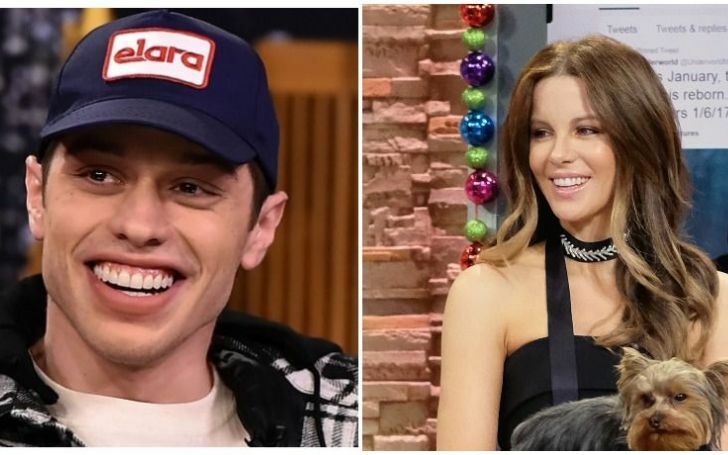 Comedian Pete Davidson and Kate Beckinsale's romance is still fueling. On Monday, the duo was spotted attending a Motley Crue show on the Sunset Strip at the Whiskey a Go Go, where Davidson reportedly performed an MC gig. Photos of the couple show Davidson leading the way while Beckinsale followed behind, holding his hand. Davidson leading the way while Beckinsale followed behind. Davidson who recently came under fire for comparing R.Kelly to catholic church sported a green tye-dye graphic t-shirt, black pants, and white sneakers, while Beckinsale dressed up a bit in one-sleeved, off-the-shoulder black mini-dress that showed off her lean legs, as well as black strappy heels. By the end of the night, the comedian and actress were spotted locking their lips inside their car. The comedian and the actress were spotted kissing inside their car. The Motley Crue show followed a red carpet event for the premiere of Netflix’s upcoming film about the iconic rock band, called The Dirt, which also features Davidson. The Saturday Night Live star posed for photographers solo at the event at ArcLight Hollywood, as Beckinsale attended separately with friends. Beckinsale attended the event separately with friends. The 26-year-old comedian and 45-year-old actress first sparked relationship rumor after the comedian cozied up to the actress at a Golden Globes after-party.